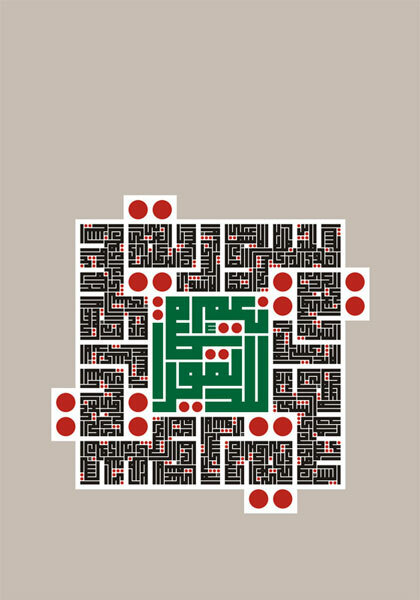 Calligrapher, designer and writer, lives and works in Syria and Egypt. Since 1968, he has worked as a calligrapher and book designer and has developed several fonts. Al Shaarani enjoys international recognition for his innovative calligraphic designs and is regarded as a role model by the younger generation because of his reinterpretation of classical calligraphy.